Do you have new HDFC Credit Card? Do you have access to Internet Banking services for the Credit Card? HDFC Bank provides Internet Banking facility to its Credit Card customers. With Internet Banking facility the credit card holders will have easy access to manage their credit card account easily and quickly. Via Internet Banking facility the credit card holders can access credit card information in detail that includes cash limit, credit limit, available balance, credit card statement, unbilled transactions, transactions, etc. There are several other facilities of HDFC Credit Card net Banking services. After learning about the benefits and convenience of accessing Internet Banking services for Credit Card, you would certainly like to know how to register for HDFC Credit Card Net Banking account Online. Here are few tips that will help you get registered for the services. Step 1: The credit card holder must have registered HDFC Internet Banking services. Log in to the account using the login credentials, i.e. Login ID and IPIN (Password). You will get directed to the homepage of HDFC Bank. Step 2: The homepage contains numbers of tabs, search for 'Cards' and click on it. A new page will appear on the screen with different links and description, i.e. 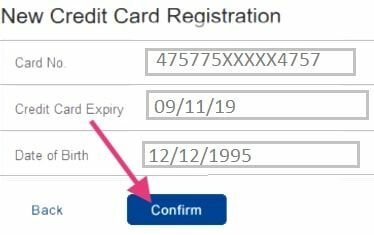 'Click here to Register a Card', 'Click Here to make Credit Card Payment', and 'To Know more Click Here'. 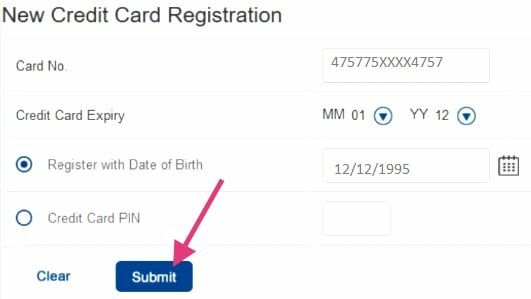 Move the mouse cursor to 'Click Here to Register a Card' and click on the link. Step 3: You will get directed to a new page 'New Credit Card Registration'. Provide your Credit Card Number and Credit Card Expiry Date details. You will see two options on the page, i.e. 'Register with Date of Birth' and 'Credit Card PIN'. If you select 'Register with Date of Birth' option, you need to provide the details as featured on the screen. Click on 'Submit' button after entering the details. Step 4: You have to check the credit card details provided and click on Confirm button. Step 5: Now you will receive the OTP in your email Id and registered mobile number. Step 6: Enter the OTP and click on Continue. The screen will display a message stating successful registration of Credit Card for Internet Banking. Now you can access the HDFC Credit Card via Internet Banking. 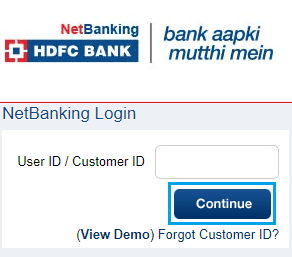 Login your net banking account by entering username and password. You can check your credit card balance, statement, credit limit and many other features by just clicking on the Cards tab. Make sure to follow the steps without any errors!